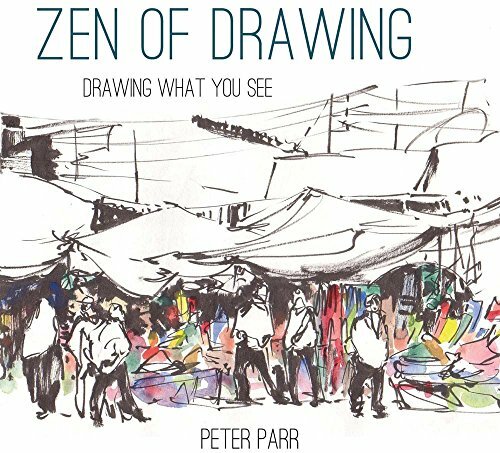 Peter Parr's Zen of Drawing is an instructional book unlike others. While it talks about drawing techniques, it also focuses on the joy of drawing with each technique. The book is about observational drawing and Parr wants you to connect to what you see, understand the form, the texture that forms your subject. There's a big chapter on different drawing tools, iPad included, that talks about how they are different and encourages you to experiment with them. I find this book to be quite refreshing because it goes deeper than just discussing the techniques. It's about appreciating the act of drawing, what you draw and what you see in front of you. The illustrated examples are wonderful as well. That's probably the zen part about this book. I recommend this book to sketchers and artists. If you like this book, check out Making Color Sing too.